This event has finished so tickets are no longer available. We are really pleased to welcome Testament back to Chapel FM with his latest show—WOKE. A ‘conscious‘ rapper and World Record Holding Beatboxer, he thinks he’s a right-on kind of guy. He’s made theatre shows and had his poetry on Radio 4. Then his daughter is born and suddenly he’s not so sure. That’s why he’s staying up late, lost in the dark worlds of the internet. Because that’s the place people go to talk about these things. What will he discover as he starts to unpick his own prejudices? With a dose of wit, a knack for seslf-depreciation and a truck-load of honesty, Testament is ready to find out. Expect beatboxing, spoken word, storytelling and hip-hop classics as you’ve never heard them before. 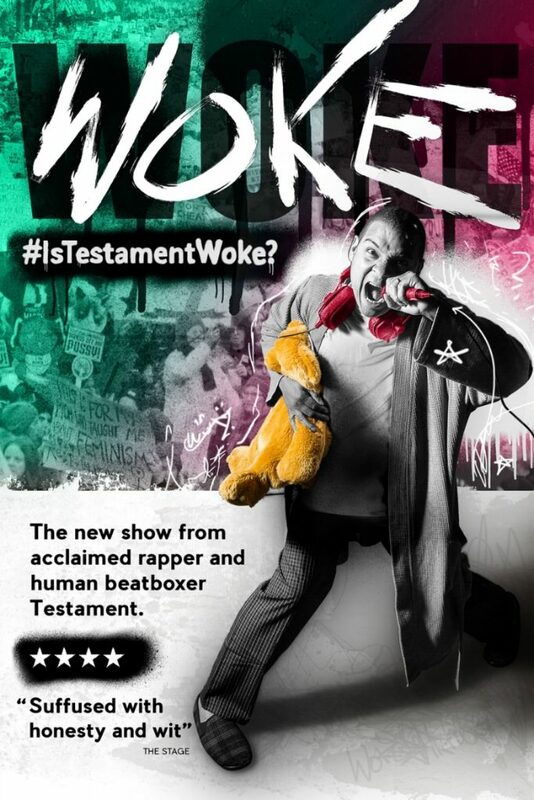 WOKE - The new theatre show by rapper & beatboxer Testament. Suitable for ages 12+. Running Time 80 minutes. Produced by LittleMighty in association with West Yorkshire Playhouse The, Royal Exchange Manchester and Roundhouse London. Testament will be running a workshop at 5pm on the day of the performance. Contact us if you are interested in taking part.